Alicia Dixon is a junior Classics, Philosophy, and English major. She intends to continue to graduate school after undergrad, and perhaps go to law school. 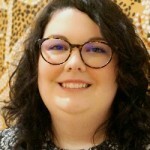 In Spring 2015, Alicia took Dr. Hilary Becker’s “Ethics in Archaeology” class which involved provenance research on objects from the David M. Robinson Memorial Collection. It was this experience that lead her to apply for a Museum internship. This semester, Alicia’s knowledge of Latin, Roman history, and mythology has been essential to coin translation and identification. Alicia has also played a key role in the Robinson collection history research. 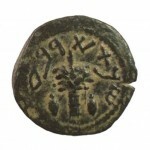 Alicia has especially enjoyed coming across unexpected information during her research of the coins in the Robinson collection, such as the Jewish coin depicting a lulav bundle (a bundle consisting of date palm, myrtle, and willow) flanked by two etrogs (a citrus fruit used in Jewish traditions). Etrog (photos on right) is her new favorite word, and she hopes to see one in person some day. 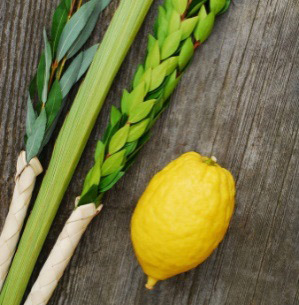 Left: Lulav bundle consisting of Lulav (date palm), Hadass (myrtles), Aravah ( Willows) flanked by two etrogs (citron fruit). 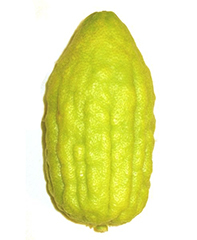 These four plants are associated with godliness, due to their use in the Torah, and are commonly used in ceremonies today, most notably, the Sukkot or Feast of Booths. 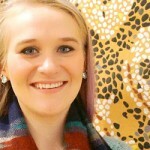 Libby Tyson is a junior English major who hopes to pursue a career in archives one day. In Spring 2015, Libby took Dr. Hilary Becker’s “Ethics in Archaeology” class which involved provenance research on objects from the David M. Robinson Memorial Collection. It was this experience that lead her to apply for a Museum internship. Libby’s work at the Museum has involved creating new records which will expand upon what we already know about Dr. Robinson’s collecting habits. Dr. Robinson was an avid collector from his early days as a student until his death in 1958. Robinson’s goal was to assemble a complete teaching collection that would span all of antiquity in every material, at an affordable yet credible source. This meant that Robinson’s sources were numerous, from his predecessors to former students, from auction houses in New York to Cairo and Paris. Although our records may indicate the provenance, or purchase history of each object, without context, many connections may become lost with time. Libby’s research has helped to shed a renewed light on Dr. Robinson, his contemporaries, and how the former art world functioned. One of Dr. Robinson’s art dealers was friend and colleague, Dr. Charles Seltman of Queen’s College. Seltman worked alongside Dr. Robinson on the 1928 excavations of Olynthus. Many artifacts currently in the Greek and Roman Antiquities Collection were once purchased by Dr. Robinson from Dr. Seltman’s private collection from Dr. Robinson, including marble busts, bronzes, figurines and pottery. 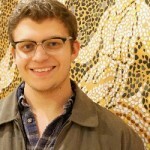 Zac Creel is a junior Art History and Classics major. He is interested in pursuing a career in Art and Antiquities Law. In Spring 2015, Zac took Dr. Hilary Becker’s “Ethics in Archaeology” class which involved provenance research on objects from the David M. Robinson Memorial Collection. It was this experience that lead him to apply for a Museum internship. This semester Zac’s ability to read Greek, Latin, and Hebrew, has been essential to coin translation and identification. Zac has also played a key role in the Robinson collection history research. 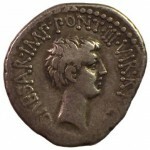 Obverse: Head of Marc Antony, M.ANT.IMP.AVG.III.VIR. R.P.C.M.BARBAT.Q.P. 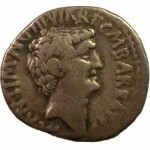 III VIR R P C was used to abbreviate “Triumviri Rei Publicae Constituendae Consulari Potestate,” or “Three Men for Confirming the Republic with Consular Power” Three men of power being Octavian, Marc Antony and Marcus Aemilius Lepidus. In 43 B.C., Marc Antony, Marcus Aemilius Lepidus, and Octavian joined powers, to form a triumvirate, following the assignation of Julius Caesar. Together, the triumvirs, fought Brutus and Cassius, who still controlled the Eastern Roman territories. The following year Antony and Octavian went to battle, first, Antony defeated Cassius then Brutus, was defeated by Octavian. Following their victory, the Roman world was reassigned, with Antony ruling the Eastern territories and Octavian the Western, leaving Lepidus Africa. 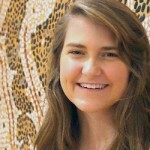 Sarah is a senior majoring in Art History and English with a minor in Japanese Language. She is interested in pursuing a career as a Museum Curator, and is busily applying for graduate school. 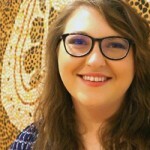 This is Sarah’s second semester working at the Museum, having returned from her studies abroad in the Spring and her summer internship at the Mississippi Museum of Art. Last Fall, Sarah wrote the exhibit text about Olynthus’s history that will go in the Greek and Roman Reinstallation Exhibit. This semester she has continued to study Robinson’s Olynthus excavations and has helped curate the objects that will accompany this exhibit section. Sarah has also “adopted” objects to research, improving many of our object files. One such example is Sarah’s adoption of the white-ground lekythoi that will also go in the reinstallation. 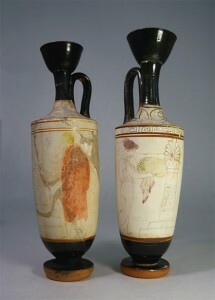 A lekythos, or lekythoi when speaking of multiple lekythos, is a type of Greek pottery used for storing oil. Dating as far back as the early sixth-century B.C.E., the term lekythos was commonly used by the Athenians in reference to any small oil flask. Lekythoi’s contexts varied from use in baths and gymnasiums to funerary rituals. During funerary rituals, the oil held in lekythoi was often used to anoint the bodies of dead unmarried men and left in the tomb to aid them in the afterlife. Chelsea is a recent graduate, having received her BA in Classics and History in May 2015. She is currently continuing coursework in Classics and Art History while applying for graduate school. She is interested in pursuing a career in research and curatorial work. This semester Chelsea’s primary focus has been the research of the Victor Merlo Collection. The majority of the University Museum’s collection of ancient surgical instruments and Roman glass were formerly in the private collection Mr. Victor Merlo, a long-time friend and correspondent of Dr. Robinson. Merlo met Robinson in California in the early 1930s, while Robinson held a summer teaching position at the University of California. At this time, Merlo, a California resident, had his private antiquities collection installed at the Los Angeles Museum, and was made the Honorary Curator of Classical Art. Upon his death in 1958, Dr. Robinson left the University his personal papers and letters. From these correspondences, spanning over two decades, we learn that Merlo deeply admired Dr. Robinson; seeking his advice on identification, restoration and purchasing. Merlo even hoped to see his collection, of approximately 1,500 objects, be united with Robinson’s private collection one day. 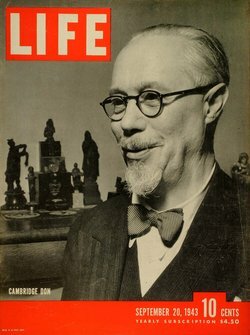 As early as 1942, Robinson, began to advocate to buyers on his behalf. 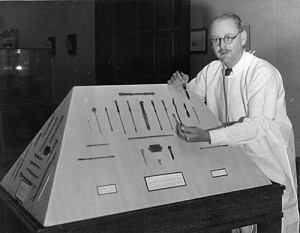 However, it wasn’t until 1957, when Dr. Willis, then University of Mississippi Classics Chair, was able to raise sufficient funds from the Medical Alumni and Friends of the University, to purchase over 100 surgical instruments, and over 55 glass vessels from Victor Merlo for the University’s Collection. Numerous other small glass shards, uteri votive molds and a surgical box were then gifted to the Museum by Merlo. This purchase therefore preceded any gifts from the Robinson Collection, which wouldn’t be added to the University’s permanent collection until 1958 – 1989 by Robinson, Helen Tudor Robinson, and Marge and Frank Peddle of Oxford, who purchased Mrs. Robinson’s remaining share of the Robinson Collection.